In today’s industries, more and more switchgear is being introduced and installed with communications and other devices allowing connectivity to the equipment. Allowing customers to remotely monitor and control the equipment is one of the reasons why the Internet of Things was created. This new synchronizing of electrical equipment is what many refer to as Smart Systems. As this technology is rolled out to new equipment, customers may be thinking, “What about aging equipment?” Facilities in many industries such hospitals, utilities, oil and gas, and many others are turning to these Smart Systems to help improve their reliability with greater efficiency, enhance safety, and plan routine maintenance and outages. Aging equipment exist in many of these industries and facilities, therefore the full benefits of these Smart Systems and digitizing may be missed. Can aging equipment be converted to a Smart System? Through modernization, the existing equipment can also be brought into the digital world and offer the full benefits of a Smart System. This conversion can be completed at a fraction of the costs compared to complete replacement with new equipment. 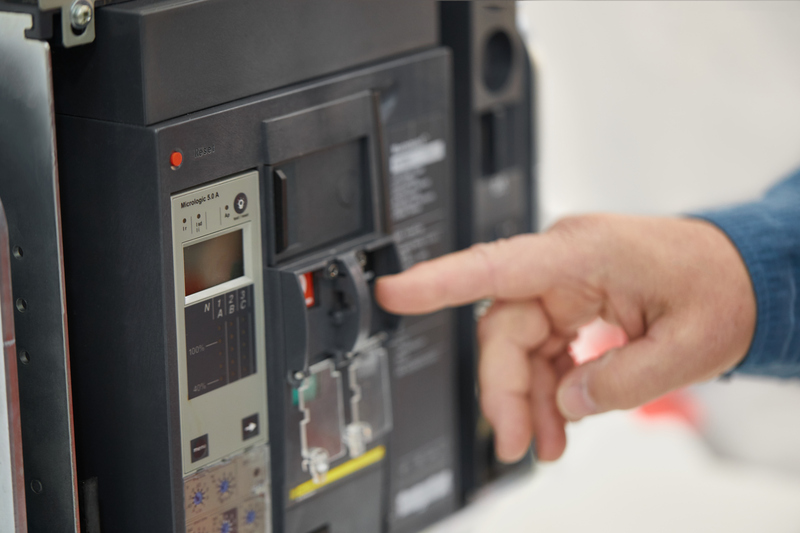 Upgrading of breakers – Replacing existing circuit breakers that offer trip units with modern day communication capable and other power monitoring capabilities allow the breakers to be integrated into an existing or new Smart System Network. Installing of Thermal Sensors – By integrating thermal sensors in the equipment, temperatures of bus connections and cable connections can be monitored remotely allowing customers the capability to plan ahead for any maintenance required and avoid any possibly arc flash issues due to degradation of the material. Installing of Partial Discharge Monitoring – Partial discharge or degradation of insulation material in medium voltage equipment is one of the leading issues contributing to many arc flash incidents. Having the capability to remotely monitor this helps ensure that equipment is properly maintained and upgraded at appropriate times. Installing of Humidity Monitoring – Humidity is a common problem in many tropical cities in the United States. Unfortunately, it can also lead to failures and arc flashes in a field when it is very high. Humidity monitoring sensors that allow communication to any existing management system can easily be installed to any existing electrical switchgear lineup. capabilities. 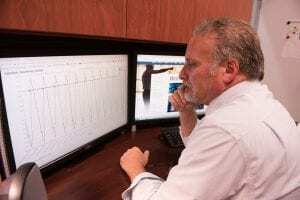 By upgrading to newer power monitoring devices, the existing equipment will benefit from connectivity to modern day management systems as well as additional monitoring capabilities like harmonic captures to help with power quality analysis. Relay Upgrades – Integrating of smart relays help enhance reliability and safety aspects of aging equipment. With smart relays auto transfer systems can be easily monitored and controlled from a remote site, limiting exposure to facility maintenance employees to possible arc flash incident energy by having to take measurements in front the switchgear. As you can see, there are many solutions and benefits for digitizing your aging equipment. Modernization smart system solutions, enables you to make smarter decisions by providing you with real-time data to reveal problems and improvement opportunities. It just goes to show age doesn’t matter when it comes to upgrading your existing equipment to new technology. Great tips! Already working remote! Need an upgrade! Thank you for the comment! We’ll contact you directly about your upgrade. It’s interesting to learn that when it comes to a switchgear needing to be updated there are somethings that factories can do. I like how you mentioned that they can install a thermal sensor to help them be able to monitor temperatures of the different connections. This is something that I believe that they need to look into so that they will be able to get everything working properly.